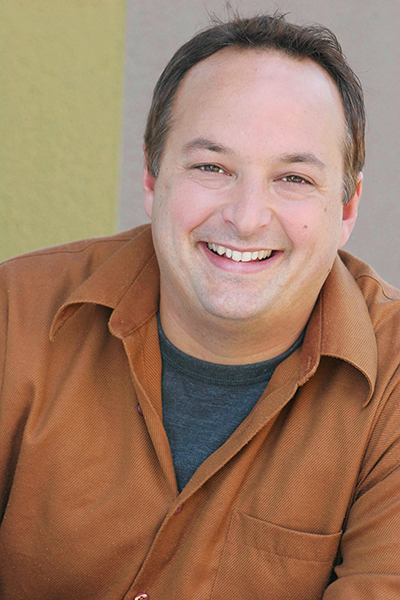 Paco Romane is a comedian, actor, writer, voice-over actor, improviser, and podcaster. His hilarious, engaging, and authentic comedic style has established him as an audience favorite. Paco had been described by Cole Stratton ( Co-Founder SF Sketchfest) as a “mashup of all things funny – stand up, sketch, improv, you name it”, and he’ll regularly spin any unpredictable moment with the crowd into his act. He has appeared on Comedy Central, Drunk History, Nickelodeon and was a writer for the Gilbert Gottfried Roast. He’s also been a frequent guest on The Todd Glass Show! “Paco is a funny f*ck. He’s in a good league with comedians like Andy Kindler, Eddie Pepitone, James Adomian. People like that. So Funny” –Todd Glass, comedian, host of The Todd Glass Show! Growing up in a small, racist town with a white mom, a Hispanic-sounding name, with a black step-father whose last name was White started Paco down the path to being a comedian. An idea further realized when a chance meeting with Robin Williams found the legendary actor-comedian urging Romane to quit his day job and give comedy a try. 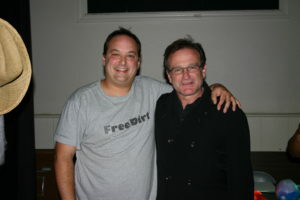 “One day I met Robin Williams who was my comedy idol. He told me to just dive into comedy and acting headfirst and not look back. A year later we ended up performing on the same stage together and he said “Well look at you now!” Years later the late Robin Williams hailed Paco as “sharp as a knife and quick as lightening with just the right amount of charm”. Although a versatile performer, Paco truly shines at stand-up having twice been voted “Best Comedian in San Francisco” by the SF Weekly and SF Bay Guardian. A regular at comedy clubs and festivals throughout the nation, Romane thrills crowds with his engaging style and lightening fast wit. He recently recorded his debut comedy album “Shaped Like A Thumb” on iTunes and he’s the creator and co-host of the documentary/comedy podcast Sup Doc (100+ episodes).